A week of games have given us some great hockey, along with some equally memorable performances. 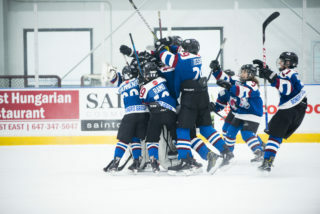 The OHL Cup powered by Under Armour has played host to some of the brightest 2003-born players in the province, but a couple of under-agers grabbed the spotlight during Saturday night’s semi-final festivities. 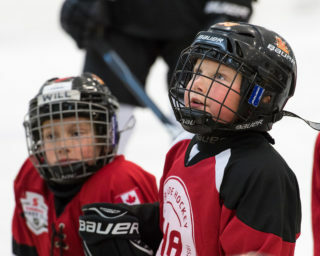 The first semis featured a rematch between the Don Mills Flyers and the Detroit Little Caesars – one of two American representatives in the tournament. Don Mills took the first game 3-0 in a tightly contested round robin affair, and built on their success thanks to the impressive performance put on by ’04-born forward Shane Wright. Having recently been granted exceptional status, all eyes have been on Wright throughout the tournament, and he saved his best performance for the biggest game of the tournament so far, notching a hat trick, and displaying the speed, skill and vision that have become trademarks of his game. 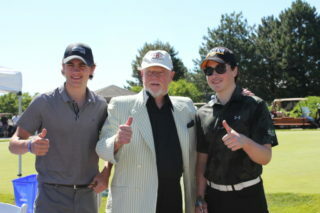 “Obviously, he had a hat trick, but it’s so much more than that,” said Flyers captain, Ethan Mistry. “Every single shift he goes out on, he’s laying his body on the line, you go back you watch the video he’s blocking shots, he’s sacrificing everything for the good of the team”. Wright and the Flyers rolled comfortably to a spot in the finals Monday night, defeating Detroit Little Caesars 7-1. 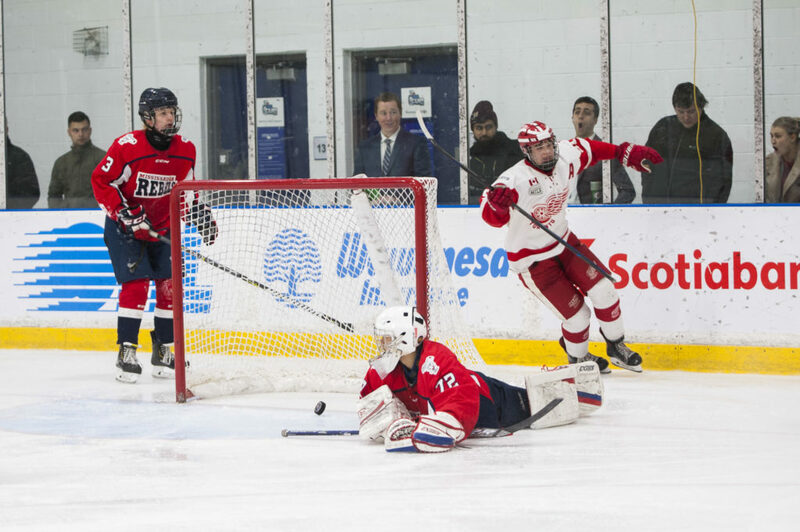 The lopsided score would not be replicated in the second semi-final, pitting GTHL rivals Toronto Red Wings and Mississauga Rebels against each other. You don’t have to go far back to see where the animosity between the two squads originated, having only recently wrapped up a grueling 7-game playoff series. 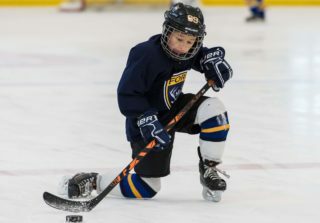 The game was physical and faced paced, featuring multiple lead changes, until Red Wing forward Adam Fantilli’s two perfectly placed wrist shots gave his side a 3-2 decision – a lead they would not relinquish on their way to a 4-2 victory. The fact that Fantilli is a year younger then both his teammates and opponents was quickly forgotten throughout the game. 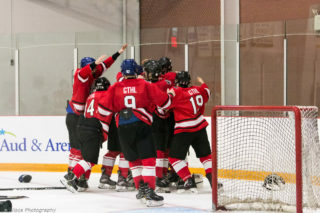 Now, an all GTHL final (for the third year in a row) awaits on Monday night. Don Mills recently defeated the Red Wings in a playoff series, and are coming into the finals the perceived favorite, but Mistry says that it’s just another game for him and his team. “Our team’s going to go out and prepare the exact same way and were not going to change anything going into this final game”. With the likes of Fantilli, fellow high-flying forward Francesco Pinelli and sizzling hot goaltender Joshua Rozensweig, the Red Wings have more than enough firepower to compete, and win this one. 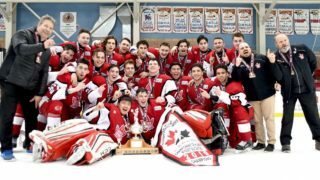 The talent on both side is hopefully an indicator of an electric championship game Monday night at Mattamy Athletic Centre at 7pm. Admission is free. Catch the game live on Sportsnet Ontario.